To round out our birthday month we thought we’d have a round up of our Top Eats this past year. You all had yours back here. After thinking about it for a minute Sean and his family came up with these as their all-time favorites this past year. Bacon Wrapped Crab Stuffed Jumbo Shrimp – if that’s not a mouthful then I don’t know what is – except for maybe that YOWZA! Burger. Then to round it all out Emma loved the Zucchini Cakes without the Oil and everyone dug into the Fruit Pizza! 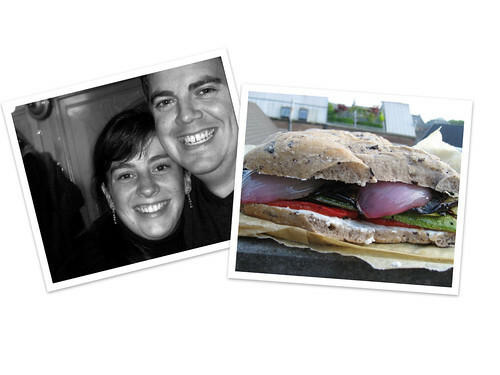 Frank and Niki didn’t take anytime deciding their absolute most favorite: Provencal Veggie Dagwood – in fact Frank was still rhapsing poetic about it this past weekend – even though his vote came in over a month ago! I chose for John & I, because he eats anything you send his way. I picked the dishes I turned to time and time again – seriously, I can’t even count how many times I made each of these in the past year. 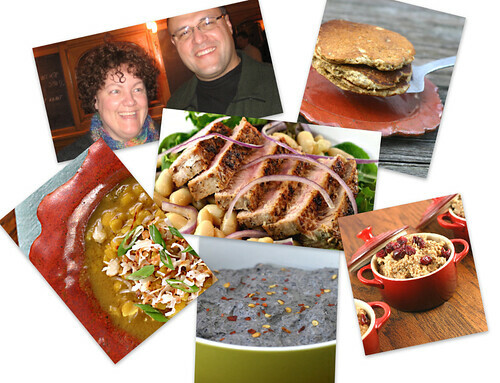 The love came from their spectacular flavor and their healthy, hearty simplicity. Starting from the bottom left: Yellow Lentil Curry Soup, Katy’s Spicy Black Bean Hummus, White Bean & Tuna Salad, Harvest Pancakes and Amped UP Steel Cut Oats. 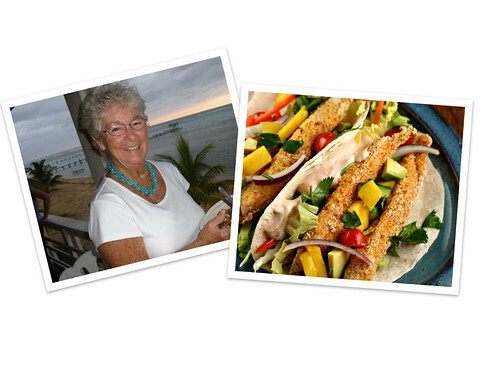 Patty loved the Fish Tacos and the Mango Avocado Salsa that went with them. In Roatan, this winter, we always had a batch in the fridge. 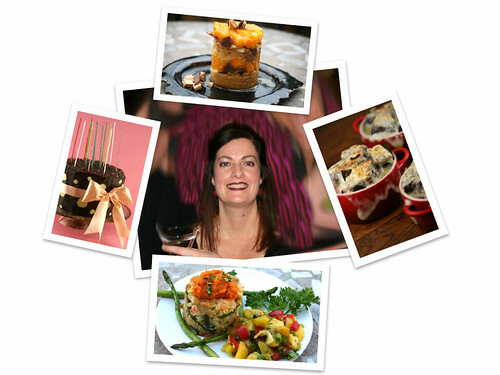 Katy was the Queen of vertical cooking her favorite ‘stacks’ were the Shrimp Cake Stacks and Mango, Pound Cake and Mascarpone Stack. She also really enjoyed the Reuben Chowder and made the Kahlua Mexican Chocolate Cake a couple of times. 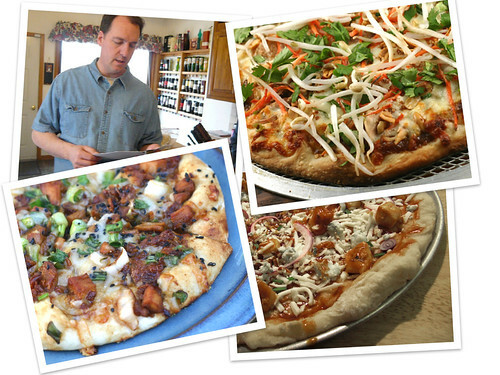 J.P. was the KING of pizzas! His favorites, starting from the bottom left, Garlic Glazed Chicken, BBQ Chicken and Thai Chicken. They’re all stunners! 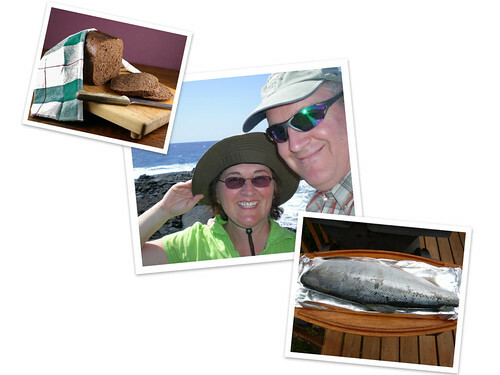 Kevin and Rose LOVE their fresh caught Alaskan Salmon and think the Pumpernickel Bread is pretty swell too. WOW!! 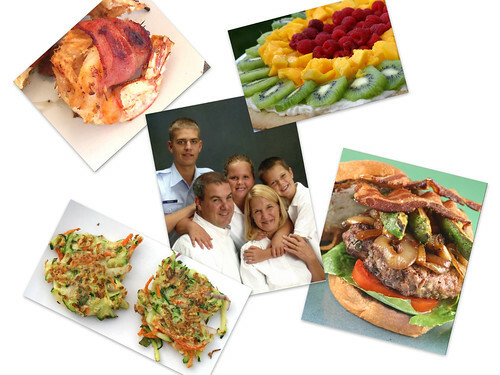 What a family food wrap-up!! Great, pictures of everyone, too!!! This is my new favorite foodo post! All my treasures lookin’ good!!! Let’s work on that next week when you’re here. Bring your camera…..or you can use mine. It would be nice to have a recent picture of Fred! Wow, what a list of recipes! When I see all of these recipes mentioned together, I am reminded why I like your site so much. Love the ‘top eats’ roundup – what a great idea! Great dishes…that’s a really nice wrap up! You weren’t kidding when you said Top Eats! After eyeballing that YowzaBurger, I’m drooling! The pizzas really caught my attention and the mango avocado salsa, YUM! Great post!